“O Subhata (Shreehanumanta – the supreme, the ultimate bhakta) lead me on the path of bhakti, show me the way to the bhagavanta. 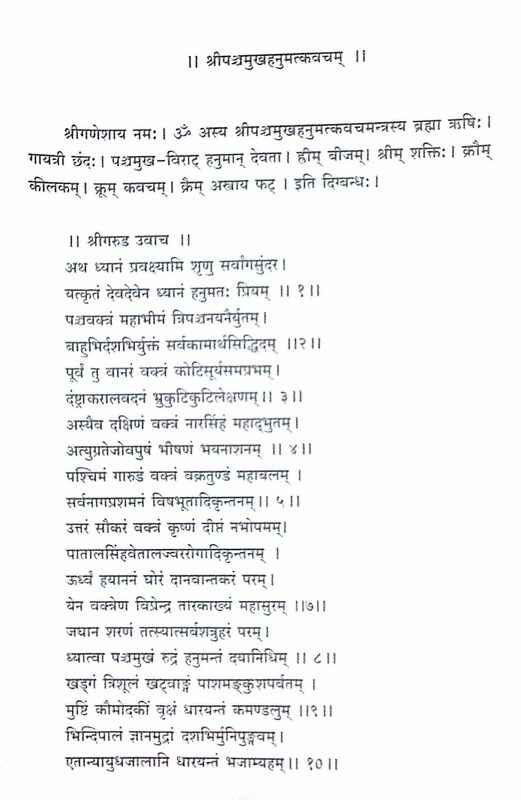 It is from You, that I want to learn bhakti” says Sant Tukaram in one of his compositions. Bapu (Aniruddhasinh) too has said time and again that it is guided by Hanumant that every bhakta takes his first step or in other words begins his journey on the path of bhakti. And so Bapu (Aniruddhasinh) initiated for all His shraddhavaan friends, the ‘Shree Ashwatthamaruti poojan’ – the celebration of bhakti. 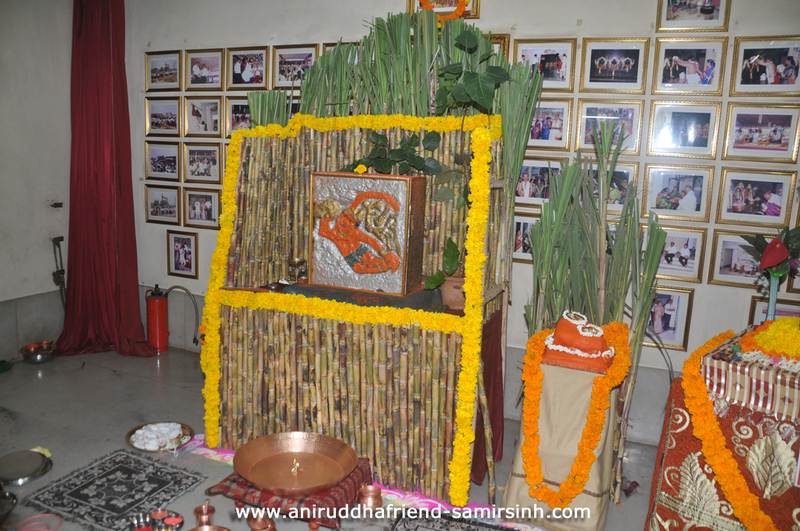 In 1996 Bapu (Aniruddhasinh) initiated the Ramnavmi festival which was the very first followed by the Shree Ashwatthamaruti poojan festival in 1997. 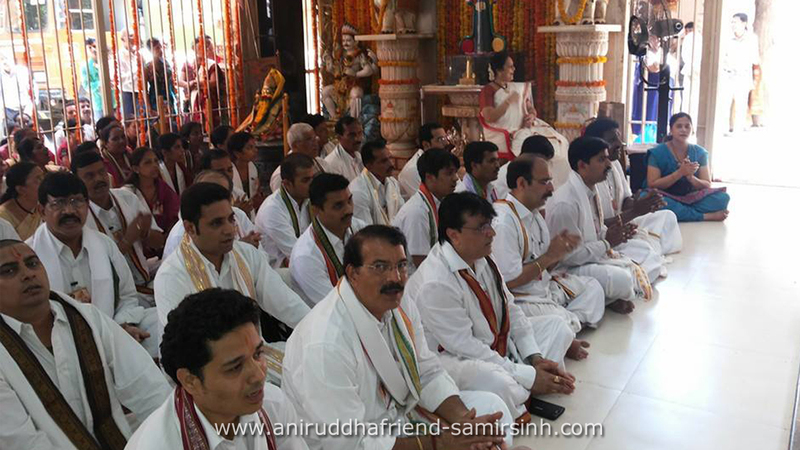 * This festival is marked by the installation of the idol of the Hanumanta that Bapu (Aniruddhasinh) Himself has created. 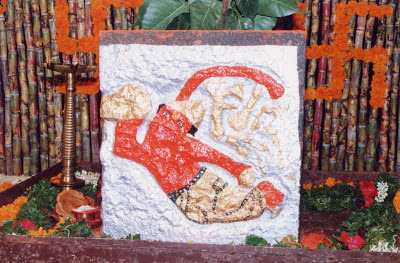 Bapu (Aniruddhasinh) actually sculpted this idol using the hammer and the chisel. Bapu (Aniruddhasinh) is an excellent sculptor. 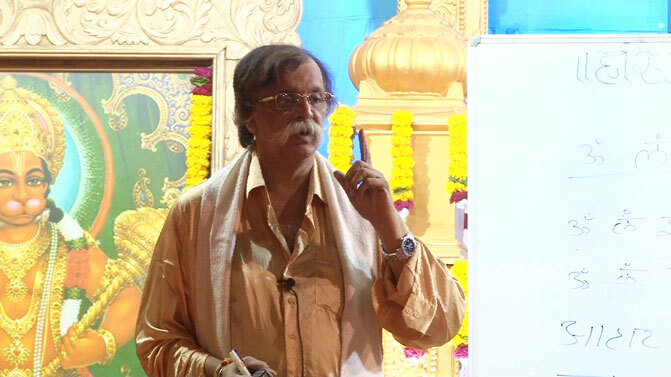 “Sculpting -carving out and lending the desired shape, is Bapu’s (Aniruddhasinh) inherent nature”. 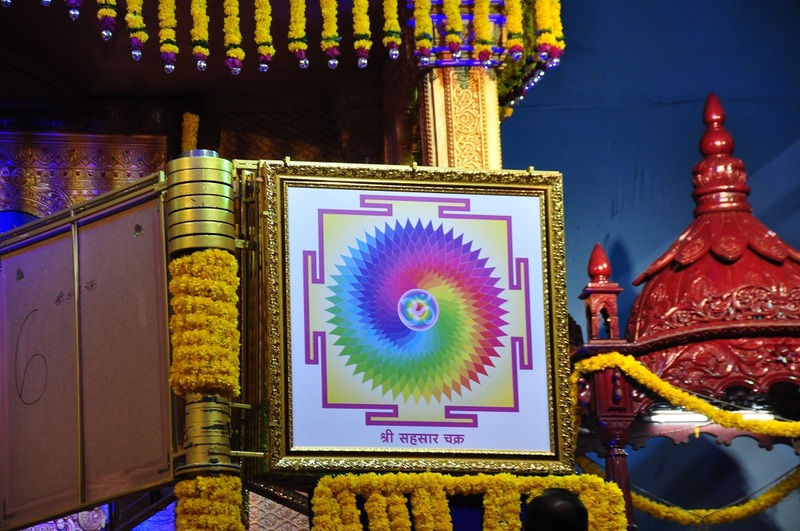 It comes so easily to Him!” The highlight of the festival is that all shraddhavaan bhaktas can take the darshan of this idol of the Hanumant and feel blessed. 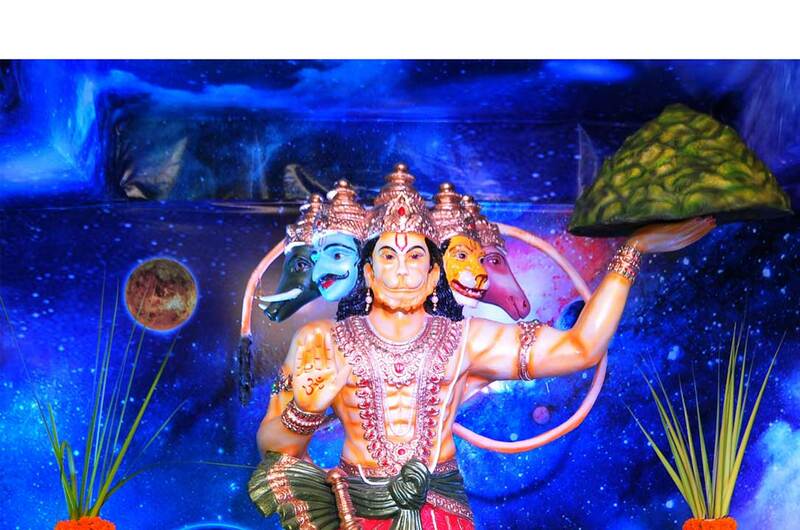 Also, this idol is endowed with all the aspects and features possessed by Shree Hanumanta as described in the Panchamukhahanuman stotra.